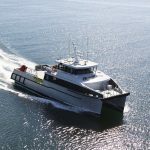 28m Utility Catamaran Workboat – the third in a series, this one built for a Queensland operator engaged in varied offshore activites including towing, survey, salvage and supply. 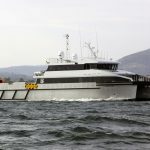 Named “STRAIT SHOOTER” the vessel will service the Gulf of Carpenteria and Torres Strait region. 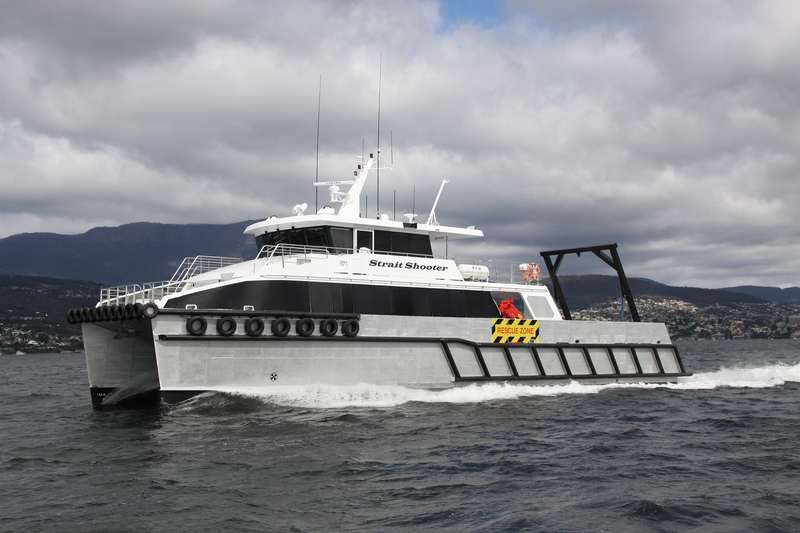 She is fully equipped with a 6.5 tonne deck crane, 15 tonne bollard pull towing hook, an articulating, submersible stern platform for easy launching and retrieval of divers, tenders and jet skis. Built to 2A 1B USL/NSCV 2009 survey with sleeping accommodation for 14.